Dock Street Spirits, soul sister of Dock Street Brewing Co., is proud to announce the launch of Vicio Mezcal, the first spirit in a line of exploratory, unique and, foremost, tasteful spirits. Vicio is here! Dock Street Spirits was founded in Philadelphia in August 2013 by Rosemarie Certo and Marilyn Candeloro of Dock Street Brewery. Dock Street Brewery, founded by Certo, was in the forefront of the craft beer revolution in 1985 as one of the nation’s first post-prohibition microbreweries [with the likes of Sam Adams and Sierra Nevada]. Now, the troupe at Dock Street Spirits is full steam ahead in another burgeoning industry: mezcal and artisanal spirits. Mezcal has been described as the purest spirit on the planet – it is made by hand and cooked in the earth with age-old methods passed on by generations of mezcaleros (distillers). Our venture encompasses three years of traveling to Mexico, delving into to the Oaxacan culture and meeting with mezcaleros to finalize our perfect mezcal recipe. Vicio Mezcal is smooth with a floral nose. It goes down like lightning, yet it is soft, harmonious and enveloping. No one remains unchanged after an experience with Vicio Mezcal. 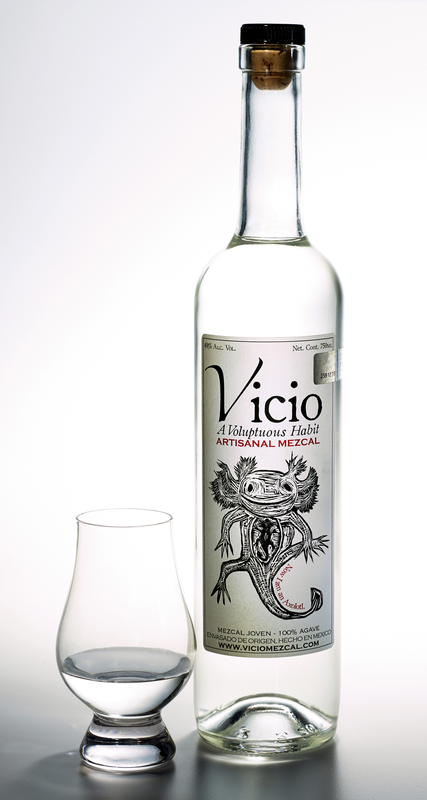 One taste of Vicio Mezcal conjures the archaic remnants and primordial images locked in this voluptuous potion. Stay tuned as the team continues to feed your taste for adventure by developing and producing a brand of distinctive and unforgettable artisanal spirits. Want more? Read Julio Cortázar's short story 'Axototl' here.